Summary. 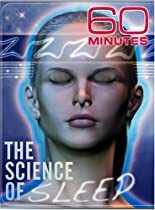 A special investigative report (The Science of Sleep) conducted by CBS 60 Minutes revealed that sleep deprivation, sleep loss, or sleep interruption contribute to (or cause) numerous health problems including diabetes, depression, memory loss, poor thinking, and weight gain (due to a lowering of the protein Lepton which suppresses appetite and tells the brain when the stomach is full). The special report included information from various scientific studies as well as interviews with specialists in the field of sleep disorders. People who normally would not get sick with the flue or other illnesses, are more susceptible to sickness when short on sleep. Because obesity is one of the primary causes of death in the United States, with the close link between poor sleep and obesity, it is fair to say that poor sleep may be a leading cause of death. Resources. Sleep is a foundational part of the Resources for Life Weight Loss and Weight Management Program as well as the Schedule for Life and Holistic Living System. Below are resources for more information about the importance of sleep.